R L are pleased to offer this well presented extended three bedroom mid-terrace home. The property currently benefits from spacious living and dining areas, lovely fire place, a recently updated kitchen with double doors to rear garden, three first floor bedrooms, a main bathroom suite and converted loft which is currently being used as a fourth bedroom. With a generous size garden the property has further potential to extend (subject to the usual consents). The owners have recently had new double glazing fitted throughout the property. 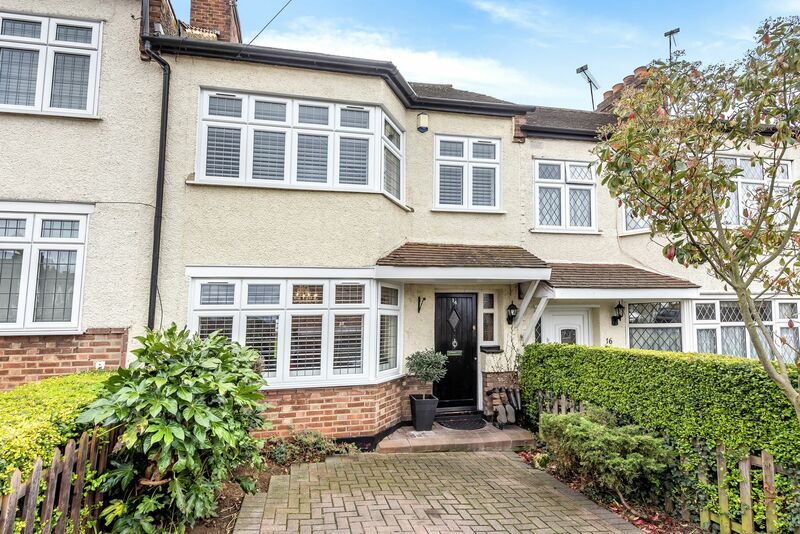 Love Lane is located within the West Hatch secondary school catchment area and is in easy reach of Chigwell or Woodford Central Line Stations which offer easy access into London. Also within close proximity is the ever popular parade of shops on Brook Parade or Woodford Bridge with their comprehensive range of shops, boutiques, eateries and restaurants. Further local amenities include Ashton Playing Fields, Virgin Active Repton Park and Tesco’s Superstore. The area offers a range of access to primary and secondary schools, both private and state.